Prepare half pomegranate fruit, it can be prepared in advance and keep it in the refrigerator. Pour the pomegranate fruit in a transparent cup, fill it up to 3/4 cup level. Mix the water with a tablespoon of CWP Vanilla to make the CWP sauce. Scope 5-6 tablespooon of Plain Greek Yogurt in a medium bowl, mix it well with the CWP sauce. Pour the mixed yogurt on top of the pomegranate into the cup and garnish with some pomegranate fruit and mint leaves. Stir fry all the vegetables and lemongrass in a hot pan. Add the Curry Powder and stir together. Add water and curry leaves into the hot pot. Bring water to boil and allow it to simmer until the vegetables are tender. Remove the curry soup from the stove and add in CWP Oriental chili and stir well. Combine the vegetables into the curry soup. 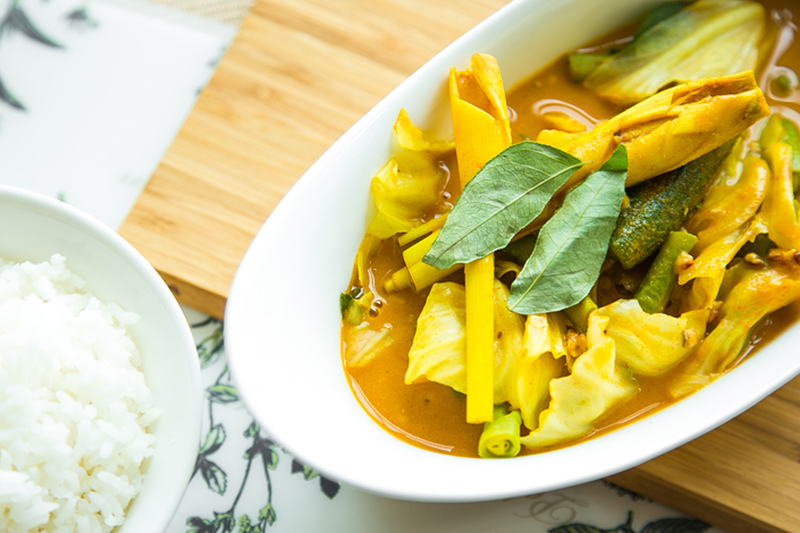 The vegetable curry is now ready to be served. Chop the walnut and almond into chunks. Combine the chunky walnut, almond, sunflower seeds and mix well. For the chocolate dressing, mix 1 sachet of CWP Chocolate with 80ml water. Pour the chocolate dressing onto the combined nuts and mix well. Place the chocolate nuts into the cookies paper cup. Crunchy cookies is ready to be served.